I’ve been on a cilantro kick and I can’t be stopped. If you’re one of those cilantro haters, I regret to inform you that this won’t be my last cilantro recipe. And haters, let’s bring peace to the cilantro world. No fighting. Put down your protest signs. I’ll make a “pro-cilantro” meme and force it to go viral on Facebook. It’ll be all controversial and stuff. Yeah. Take that, politics. Arianna Huffinton, you may want to pick this story up, because I’m about to go allll out on a campaign entitled “Let’s Put An End To Hating Cilantro!” It’s going to be epic. 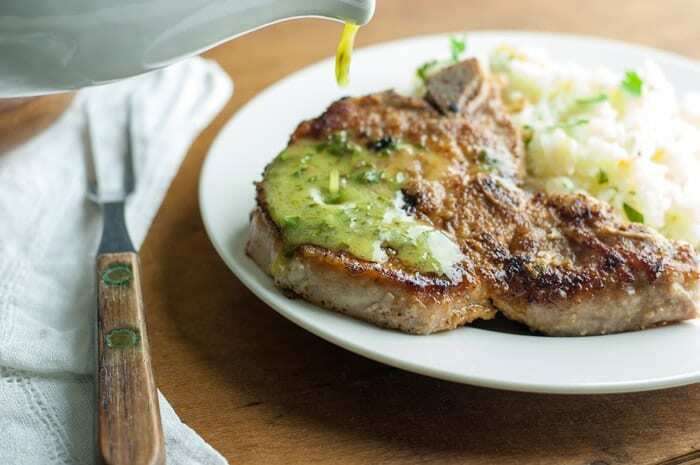 And it all starts with a lone, juicy pork chop smothered in Honey Lime Cilantro Sauce. 100 years from now, this will be the recipe that started it all. I’ll be famous! Seriously though, I need to investigate this. If you’re not fond of cilantro, I’m curious, do you like salsa? Because most salsa has cilantro in it. So could it be possible that you DO like cilantro in small doses or if it’s mixed in with other things? I could be on to something here. Have I cracked the case? IHateCilantro.com members, please chime in. Really, it’s a thing. They have a Facebook page with 17,000 fans. I’m on a quest to convert these people. 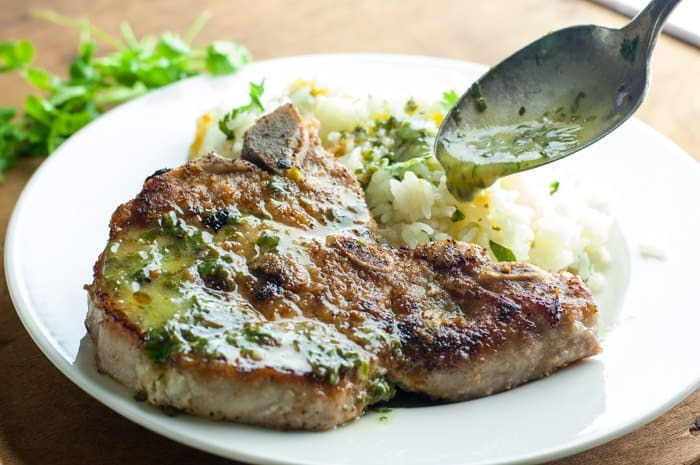 To do this, I’m willing hide cilantro in tangy, flavorful sauces, pour them over perfectly fried pork chops, and serve them with this incredible Sticky Rice With Cilantro and Sweet Caramelized Onions, and then let the sauce that was poured over the pork chops SOAK INTO THE RICE. Oh, sweet heaven. I think this is only making me weaken to cilantro’s powers even more. This isn’t good. Save yourselves! Don’t make this recipe. Otherwise you’ll cross over to this delicious dark side and there’s no turning back. You’ll be sharing annoying cilantro memes on Instagram and you’ll start losing friends. This just in: In searching for “cilantro haters” on Google, I found that Huffington Post already has an article about hating cilantro. Arianna, I know you’re reading this. 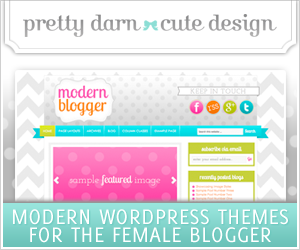 Because I know you follow my blog and you think it’s awesome. Who can blame you, really? But please do a follow-up story that involves these pork chops. Let’s change the world together. In a small bowl, mix all ingredients for Cilantro Sauce together with a whisk or process all ingredients together with a small food processor. Set aside. Lay pork chops on a large cutting board or flat surface. Dab pork chops with a paper towel to draw out any surface moisture. Sprinkle 1 side of pork chops generously with salt and a little pepper. Sprinkle a little granulated onion or onion salt over each chop. Rub a little of the minced garlic cloves into the chops with the back of a spoon. Add approximately 1/2 teaspoon bread crumbs and 1/2 tablespoon olive oil to each pork chop and spread crumbs around with the back of a spoon. Flip chops over and repeat with other side, starting with salt & pepper. Heat a large nonstick skillet over medium-high heat. Add a few turns of olive oil and a pat of butter (if using) to pan. Add pork chops to skillet and cook for 3-4 minutes on first side and 2-3 minutes on second side, or until chops are golden brown. 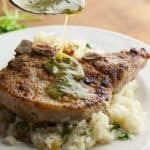 Remove pork chops from skillet and serve with cilantro sauce. 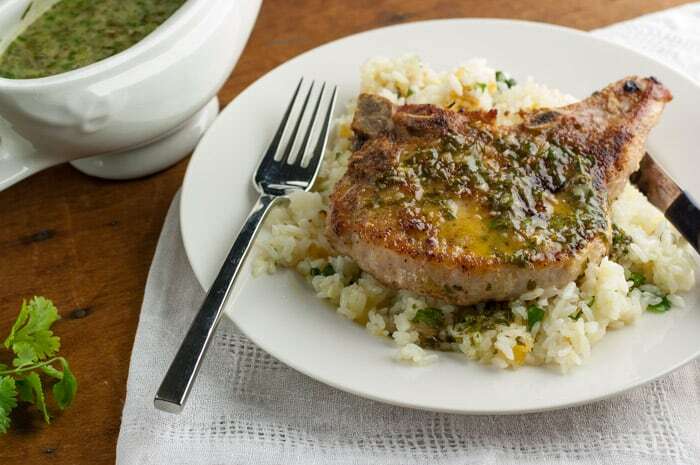 These pork chops go great with this Sticky Rice With Cilantro and Sweet Caramelized Onions. 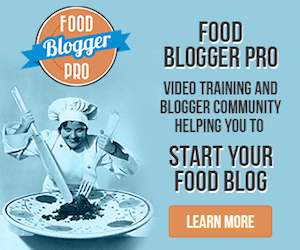 More great recipes at www.thekitchensnob.com. I AM one of those people who don’t like a LOT of cilantro but I DO like salsa so I am going to give these wonderful recipes a try. If anyone can make EVERYTHING taste great YOU CAN! I am already on a cilantro dark side and I don’t want to turn back – tastes entirely too dang good! 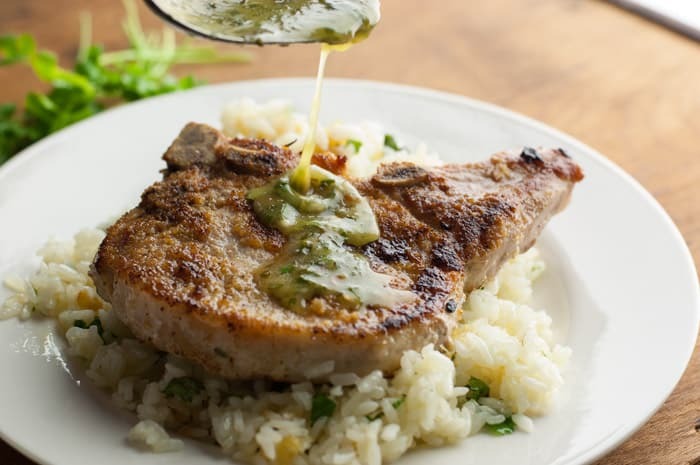 These pork chops with honey, cilantro & lime sauce sound delish! Love it! Keep bringing on alllll the cilantro recipes! #DontStopTillYouGetEnough aka Never! ♡ cheers! Your sauce looks delicious, and I can’t wait to try it. My family hated cilantro until we went to Mexico for a month and they had no choice but to eat it as it was in everything! Now it grows in my garden. Your photos are great! Thanks, Debbie! I’ve tried to grow it but didn’t have much luck. It got too “leggy” and died off. I don’t have much of a green thumb so maybe I didn’t give it the best conditions. 1st time I made this: “Wow, this is delicious” exclaimed my husband. 2nd time I made this: “I love the way you made the pork chops this time.” remarked my husband. I lol’d & reminded him that I had made them a couple weeks prior. And then when I asked him what he wanted me to make for his birthday he requested these delicious pork chops! I loved them too … a perfect mingling of different tastes. So the consensus is: SCRUMPTIOUS! Wow – makes me feel special that this recipe is good enough for a birthday meal request! This is the best pork chop recipe EVER. The cilantro sauce is amazing. 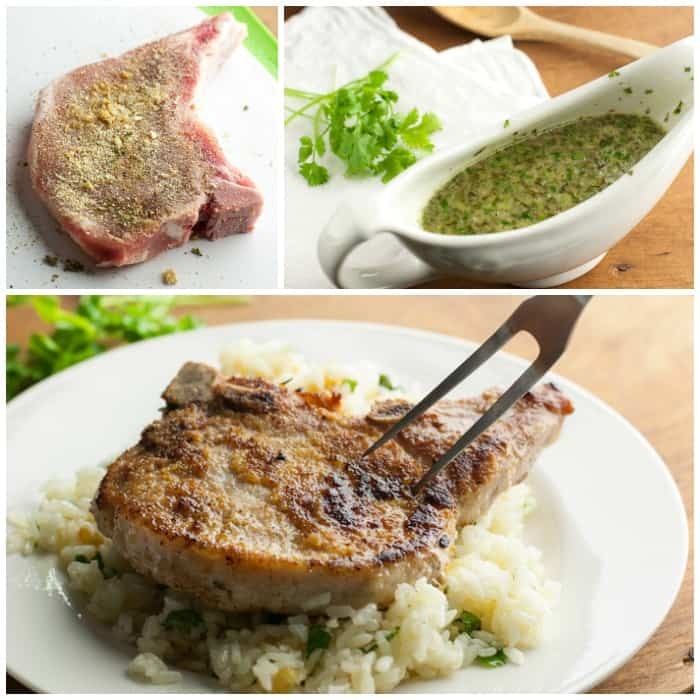 But if you aren’t a cilantro fan, make sure to at least try the pork chop method. It’s a game changer. Thank you for creating and posting. We have it almost every week and even my 3 year old loves it. To me, pork and cilantro don’t come as a natural pair – but it was what I had to ‘use up’. I turned to trusty Google for help and came across this recipe. I was immediately drawn in by the mention of honey and lime to tie them together – but what really sucked me in was your comedic talent! Of course I had to pair it with the caramelized onion rice recipe (YUM!). With reading that recipe I giggled and had to read your flirtatious banter to my husband. Needless to say, I did not get the same spontaneous reaction but it was well received. This recipe will be a go to for us. Thank you for this and the giggles!